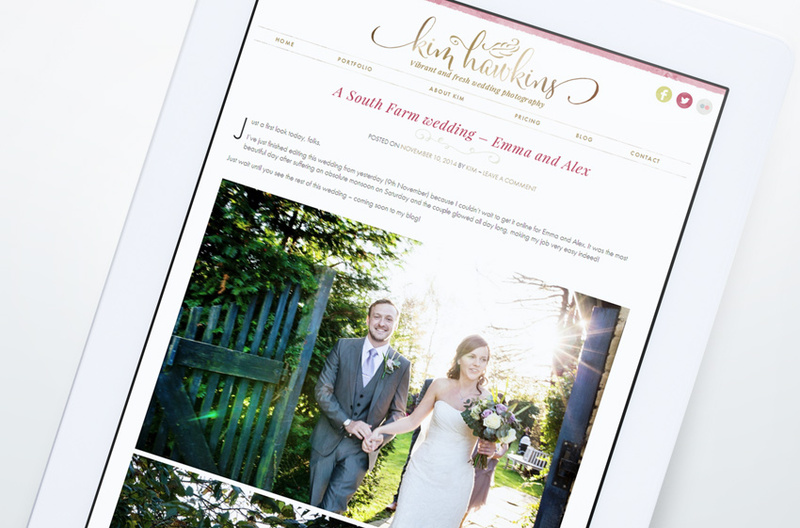 I’ve another website redesign for you today, which went live towards the tail-end of 2014. 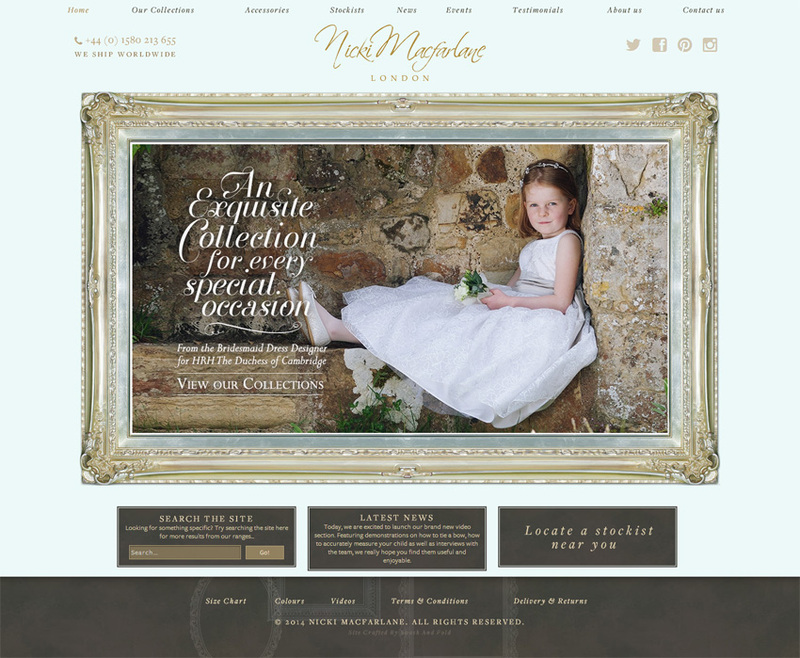 The brief was to take Nicki Macfarlane’s existing website and give it a visual and functional overhaul, with a bold modern-vintage aesthetic, fresh new features, increased usability and a fully ‘responsive’ layout to cater for visitors on a wide range of devices. 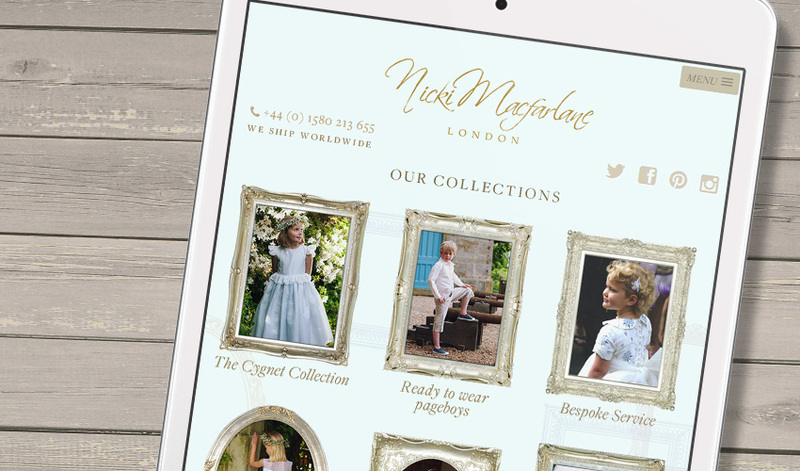 I’d worked with Nicki and her team to design their brochure earlier in the year, so it made sense to echo some of the design elements from that online, such as the illustrated frames and the typographic style. The darker background which worked so well in print however looked overly heavy on screen, so this was switched for a fresher duck-egg blue. I also sourced a selection of new, shabby-chic swept picture frames to further lift the palette and enhance the design, and opted to present all but the most decorative text in Joshua Darden‘s superb “Freight” super-family of fonts, which combine a classic and flexible design with high readability on-screen. 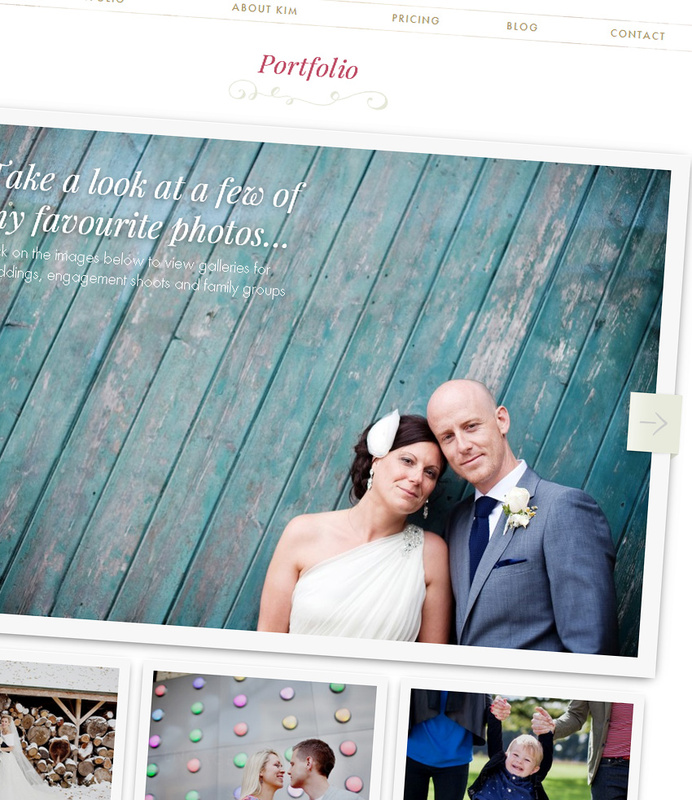 Take a look at some samples from the project below, or head to nickimacfarlane.com to see the full site! 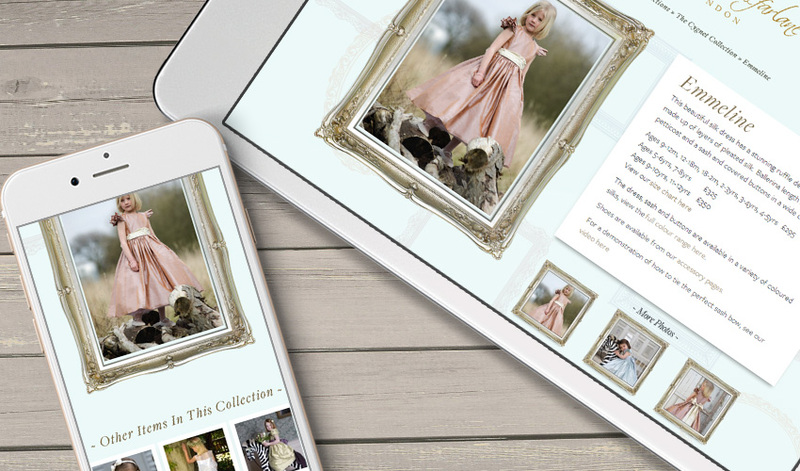 It was important to ensure the site worked well across a range of devices and platforms, and that content was presented in an appropriate way. Throughout the site the content automatically reconfigures to fit the viewing window, changing frame graphics, menu structure, location of key information, the size and spacing of grids, or changing the number of items in a row. Examples of this can be seen above on the product details pages, or below in areas such as the “Our Collections” section. 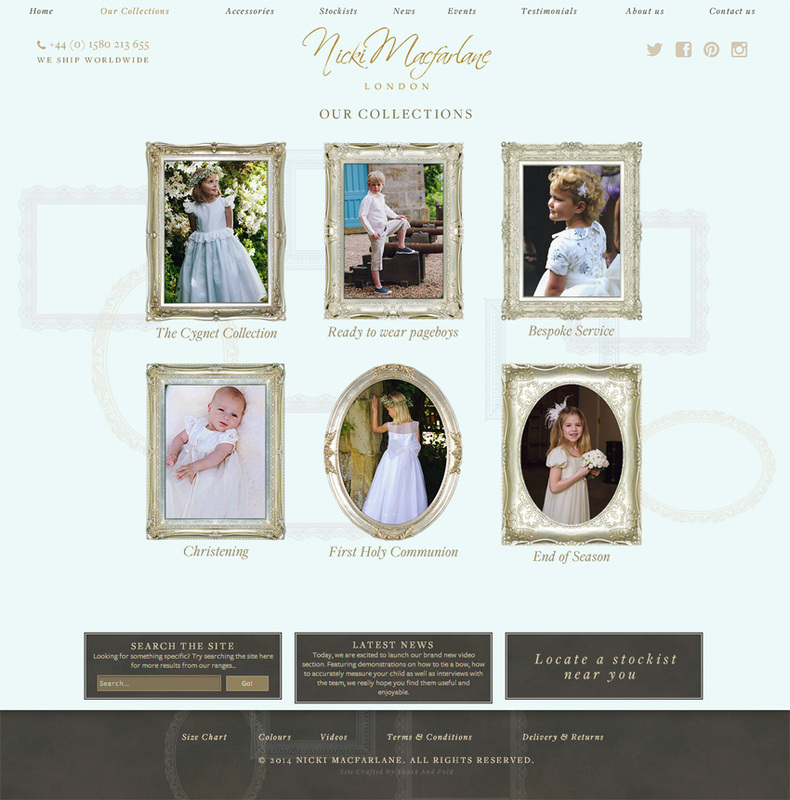 In addition to a full catalogue of dresses, accessories and pageboy outfits the site also features a range of supporting tools like size charts, fabric swatches, video library and an interactive worldwide stockist map, all designed to be editable by Nicki and her team behind the scenes. Visit nickimacfarlane.com to see more, or leave a comment below and let me know what you think! 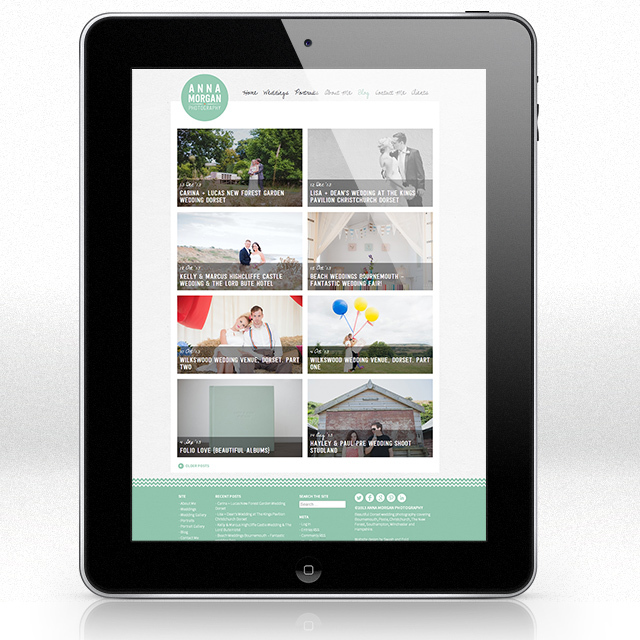 Website: WordPress custom theme development, responsive layout and brand update. 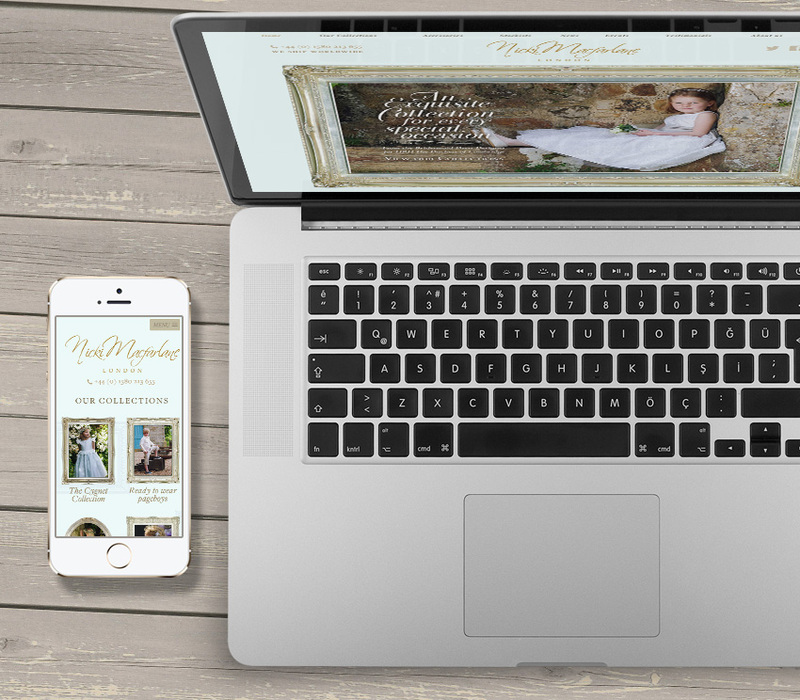 Kim’s old branding and website needed a fresh new look, so together we set to work on coming up with something that better captured her approach. Kim wanted something that would appeal to the contemporary bride, but still felt fairly “classic” and stylish in tone. As Kim’s work also features family and portrait photography (many of which may be returning customers) it was also important not to alienate or exclude previous clients, so some continuity in design between the old and new was essential. The most striking aspect of Kim’s previous branding was the deep cerise colour, which dominated the old design. 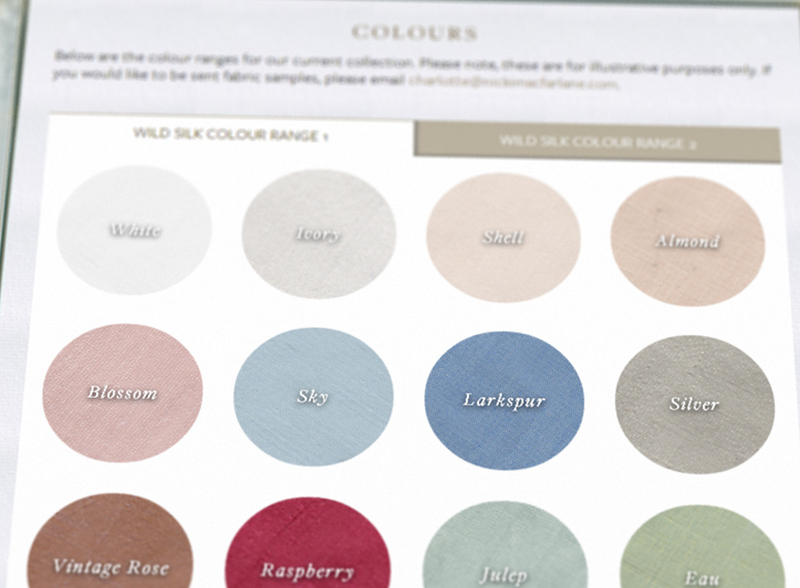 This was an immediately recognisable element, which was retained as a highlight for text, and combined with paper and watercolour texture for the footer and header strip. This was combined with light, natural tones, subtle HTML detailing, clean and light lines of the timless Futura typeface, and the more modern bold italics of Playfair for titling and other featured text. For the logo, the flowing hand-lettered style proved the perfect contrast to the clean lines elsewhere, with a bronze gradient toning the screen version into the colours and textures of the rest of the page. Take a look at some samples from the project below, or head to www.kimhawkins.co.uk for a nose around the finished thing! 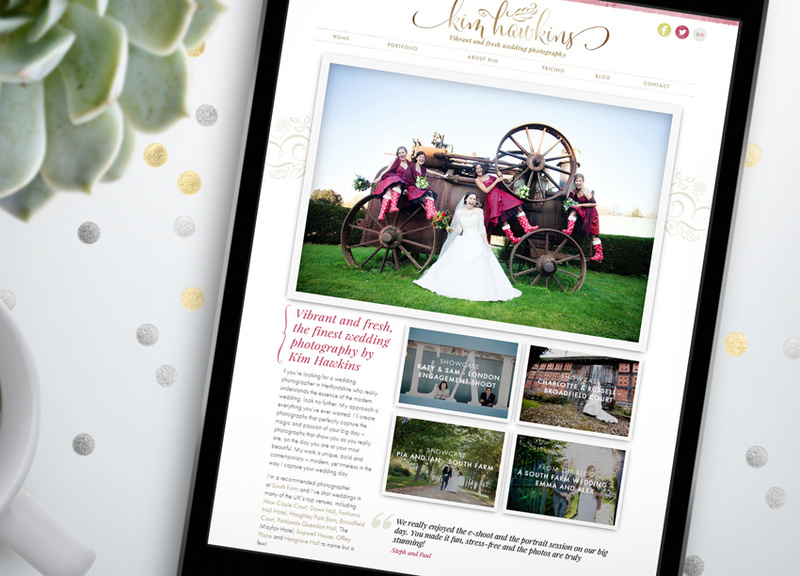 Thanks to Kim for being a great client – if you’d like to see more of her work, take a look at the full site at www.kimhawkins.co.uk. 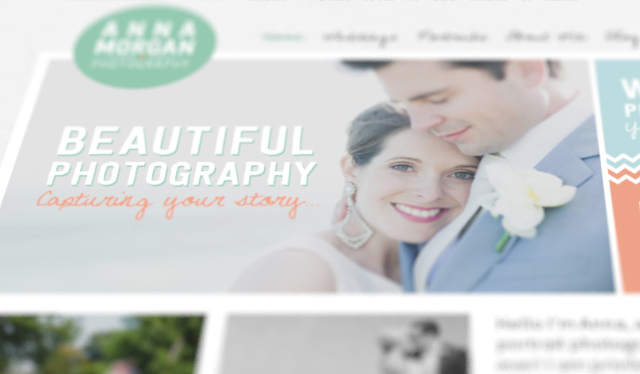 Website: WordPress custom theme development and logo design. 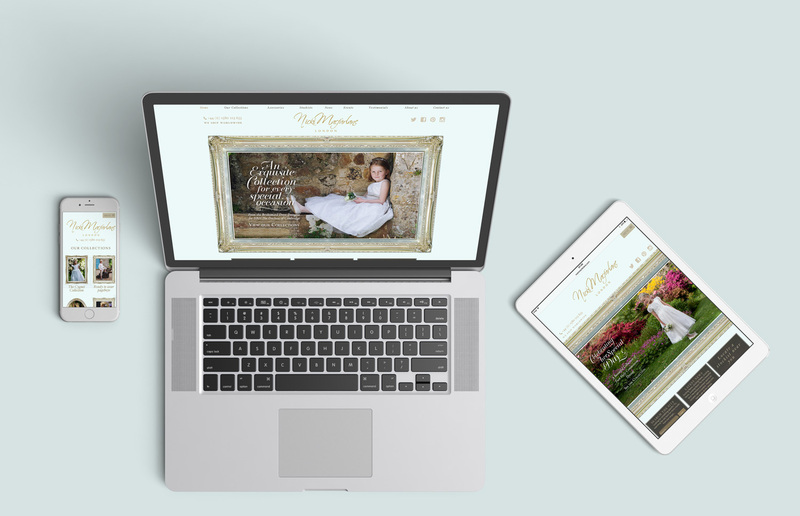 Rather than spend time going over the concept behind the rebrand again (it was covered well enough in the previous post), lets get straight down to the site: a custom designed & developed WordPress theme, with a clean and simple layout and all sorts of fancy bits and pieces going on behind the scenes! 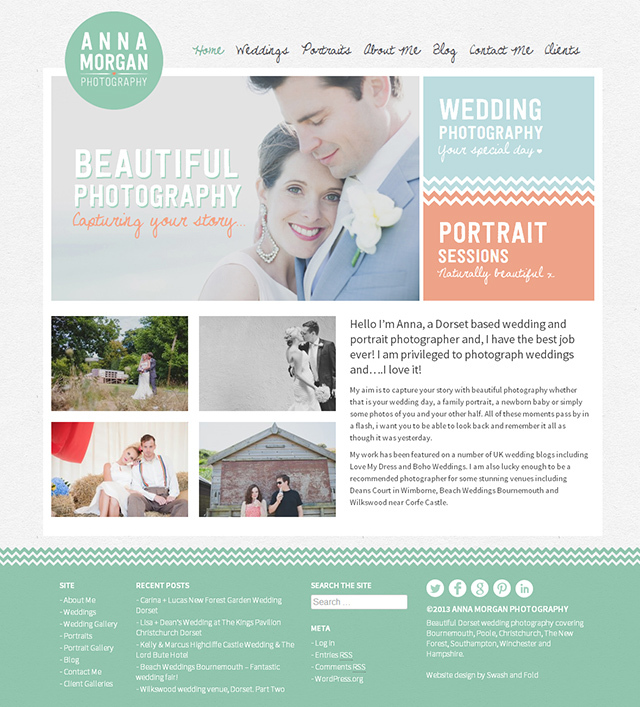 Thanks to Anna for being a great client. 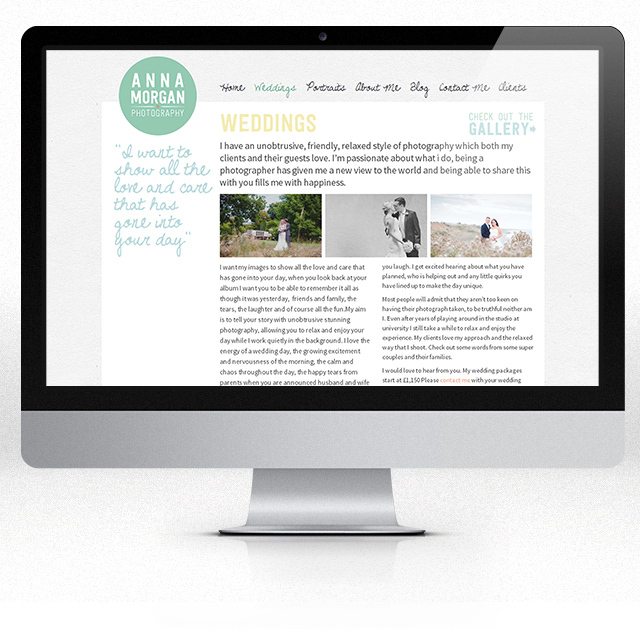 If you’d like to see more of her work, take a look at the site at www.annamorganphotography.co.uk.